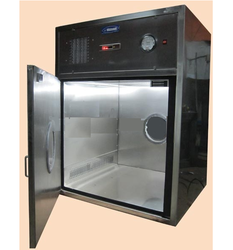 Leading Manufacturer of dynamic pass boxes, laminar air flow, static pass box, air shower, clean room puff panels and reverse laminar air flow from Faridabad. We are the largest exporter and suppliers of Dynamic Pass Boxes in India. The dynamic/static pass boxes help to avoid contamination and minimize the entry of contaminants into the clean rooms. It also provides product protection while transferring the material from one classified area to another. The offered Pass Boxes are used in the Pharmaceutical industries, Electronic industry, Chemical research laboratories, Semiconductor production, and Food processing industry. All the offered pass boxes are of supreme quality ensuring a long life. We undertake bulk orders from our esteemed clients. We are the leading manufacturer and supplier of an optimum quality range of Laminar Air Flow. 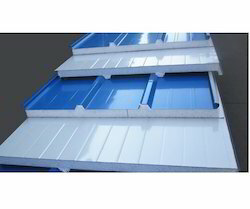 We are the largest exporter and suppliers of high-quality Static Pass Boxes in India. The offered Pass Boxes have been manufactured as per the standards set by the industry. This ensures high performance and durability. The Static Pass Box is easy to handle. They are widely used in the Pharmaceutical industries, Chemical research laboratories, Electronic industry, Semiconductor production and Food processing industry. We undertake bulk orders with an assurance of prompt delivery. Noise Level (dBA) 65 db. 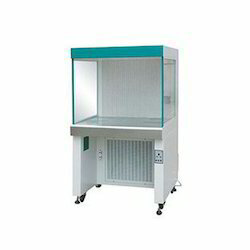 We are the topmost exporters and suppliers of Reverse Laminar Air Flow workstations in India. These are suitable for dispensing powder and chemicals by minimizing the risk of contaminating the work zone and ensuring the safety of the people. 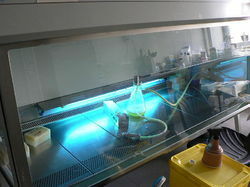 This equipment is based on the recirculation of air and ensures that the cloud formed by the material dispensed is sucked in a natural pattern of movement and arrested through pre filters. 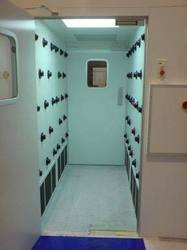 The equipment is available at affordable prices as per requirement of the clients.